Ethan was in a school play last week. 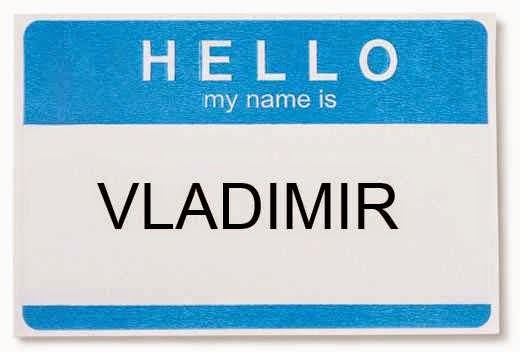 His character was a chemist visiting NYC, so Ethan decided to make him Russian and speak with a Russian accent. "The first performance I sounded like I was from Transylvania, but I worked on my accent a bit and sounded more Russian for the last two performances." I love summer more than any other season, and I love the start of summer most of all. 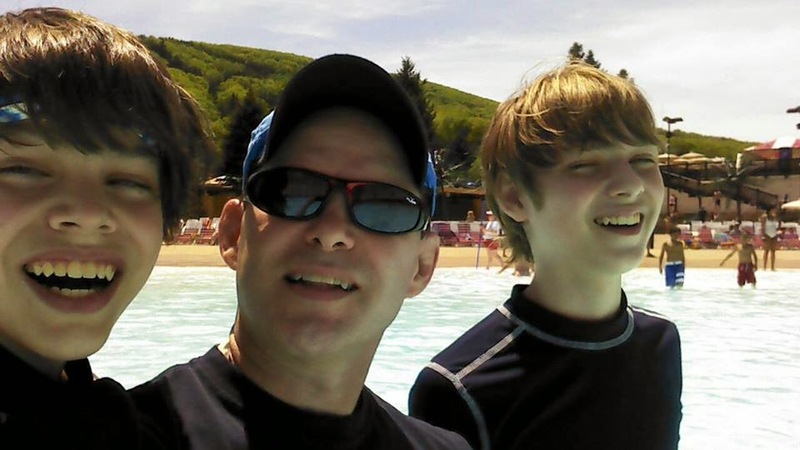 I spent Memorial Day with Ethan and his friend Aaron at Camelbeach. Samuel had a school project to work on, and Jen stayed home to be with him out of solidarity. I un-enthusiastically offered to cancel our rental car and stay home, but Jen knew I wanted to go. There's just something about the beginning of summer, the promise of summer, all laid out ahead of us, not yet used, a brand new, just-opened package of warm sunshine and cool water and the smiles of Ethan and Aaron in all their joyous not-quite-manhood and babies in the kiddie pool and toddlers with water wings and swim diapers and laughing splashes and seaside limbs rushing to be next in line at the raft ride and cheeseburgers and ice cream and everything that is good in the world. Amazon is trying to extract better pricing from one of its supppliers, Hachette Book Group. It's not an unusual practice. Walmart is notorious for it. It's business. But it's still kind of crappy in Amazon's case. Their negotiating tactic is to steer customers away from Hachette books, mark up prices, eliminate the ability to pre-order, and delay customer shipments (Ten Tiny Toes currently ships in an absurd 3-5 weeks). 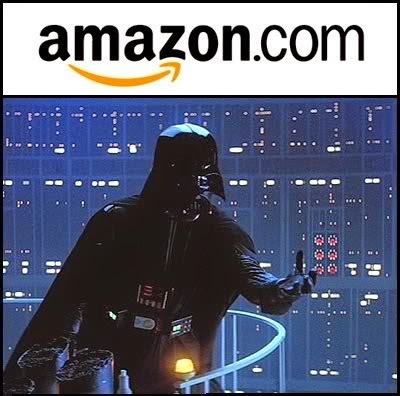 That means it's crappy not just for Hachette, but for Amazon's customers. I have a teeny-tiny dog in this hunt, to be clear, but practically speaking, it has no economic impact on me. 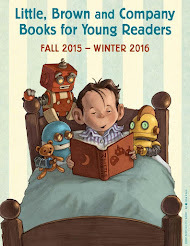 I'd side with Hachette even if I weren't an author, and even if Hachette weren't my publisher. You know when you go to Six Flags, how annoying it is when people can cut in front of you in line because they bought a Flash Pass? As a result, the lines become 20% longer. But Six Flags makes more money, so...too bad for you. Amazon customers now have to wait 3-5 weeks to get books they should be able to get in 2 days. In essence, the "lines" for its customers have become 1,000% longer. But it's for a good reason: so Amazon can make more money. I'm not suggesting it's illegal. I'm not suggesting companies shouldn't try to make more money. I'm not even suggesting we all boycott Amazon. (In the words of Alicia Silverstone, "As if.") I'm just hoping more people call them out. Here's a link to an article in today's NYT. I know this is not a comfortable situation for most of you, and I appreciate your support and the many messages I've received. I have yet to receive a similar email from Jeff Bezos. 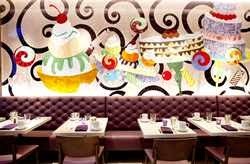 Every time I walk past Sugar and Plumm on Amsterdam and 78th, there are hordes of sugared-up little kids in there drinking milkshakes and eating sundaes, and I always want to drop whatever I'm doing and go hang out with them. The last time Samuel and I walked by, we hatched a plan to commandeer a 5-year-old, take her there, and force her to eat candy until she smiles. So I texted the mom of our favorite 5-year-old, and we scheduled a playdate. She even wore her blue tutu from Granny-Made, which I got her for her birthday last summer. 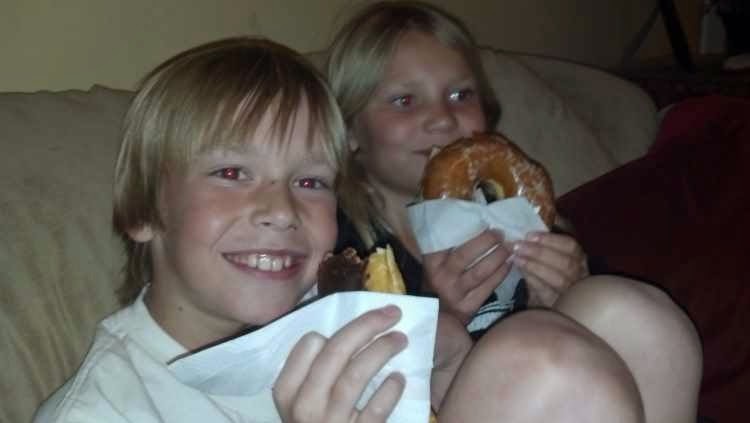 Samuel and I had corn dogs, french fries, a black-and-white milkshake and an ice cream soda (made with Diet Coke). Little L had to eat some salmon and green beans before she could have some french fries, but she has apparently grown up in a family where such things are considered normal. This was followed, alas, by lots and lots of candy. 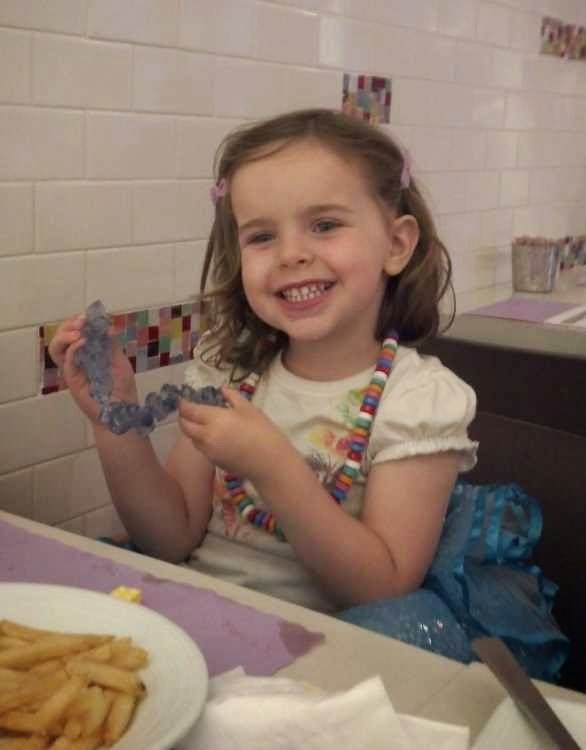 Here is L eating her purple rock candy necklace. And smiling. Around 1am, Samuel fell asleep on our bed, fully clothed. He'd been doing homework. Jen was watching a movie on Netflix next to him. She fell asleep too. Ethan was still up when I went to bed at 2:30. He was watching a 2-hour YouTube video of a person playing "The Walking Dead" video game. I didn't want to wake Samuel, so I crawled between him and Jen. It was crowded. I had to lay on my side. Ethan went to bed around 3, but at 3:30 he came in because he couldn't fall asleep in his room. He crawled in bed between me and Jen. At 4am, Jen got some blankets and moved to the living room sofa. At 5am, Samuel moved to his bed. Jen got up at 9:30. I got up at 10:45. Ethan and Samuel got up at 1. Jeeze, do I have to do everything myself? 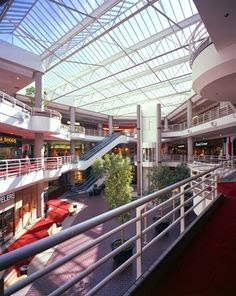 Since I didn't have the chance to see it in person before it was torn down, I was curious about what the Sherman Oaks Galleria looked like--how big it was, what stores were there, how it was laid out. I found about a dozen photos online, but a floor plan doesn't seem to exist. 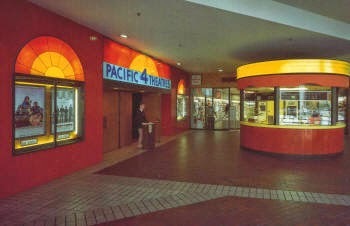 Why I care: the Sherman Oaks Galleria was synonymous with the mall culture of the early '80s. "Fast Times at Ridgemont High" was shot there. The song "Valley Girl" was written about it. 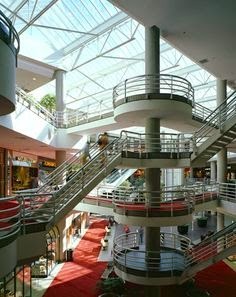 It was not a large mall; it was not unique; its popularity was fleeting. But I'm a pop culture buff and an urban archaeology buff. 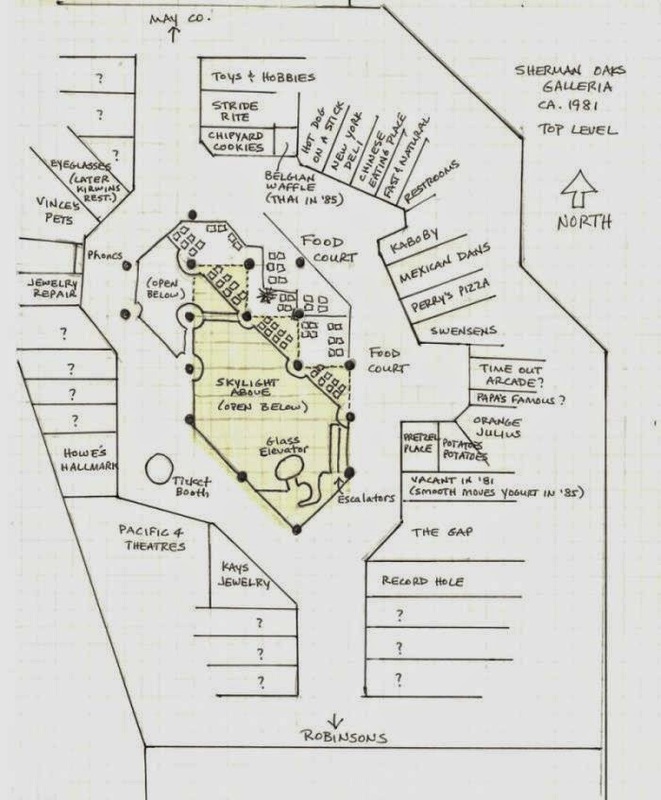 So...here's my floor plan of the top floor of the Sherman Oaks Galleria from late 1981, when "Fast Times at Ridgemont High" was filmed there. As you can see, it's a complicated layout with relatively few 90-degree angles! I drew the exterior dimensions based on a Google Earth image from 1994. The skylight location and shape were key, as they provided the necessary clues for the rest of the map. 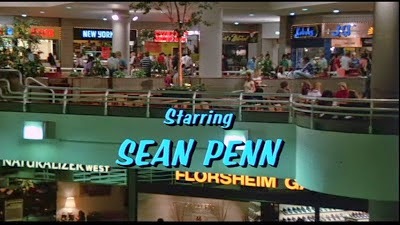 I mapped the interior based on old photos I found online and from watching "Fast Times" and obsessively pausing and rewinding during the mall scenes. I could determine north and south from the shape of the skylight in the photos--the north end was stepped, the south end was more pointed. Here are a few old photos, for context. Here are a few more images from a photographer's site. Finally, I filled in a few missing pieces by watching the Arnold Schwarzenneger movie, "Commando," which was shot there in 1985. 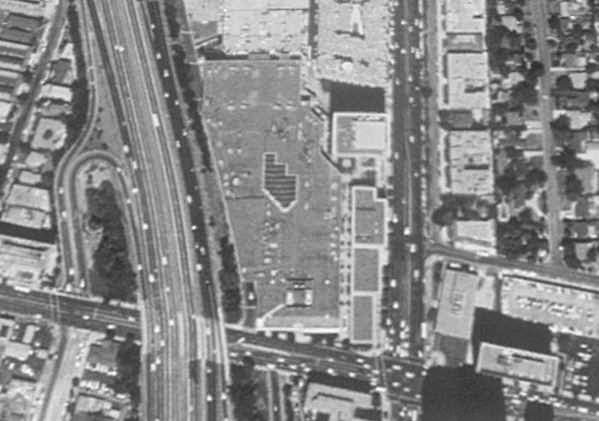 (It also showed a few stores that weren't there in 1981, like Smooth Moves Frozen Yogurt in the food court, the Thai fast-food restaurant (barely distinguishable in the background of the photo below), which replaced Belgian Waffle, and Kirwins Restaurant & Bar (seen in the second photo below), which appears to have replaced an Eyeglasses store that was in that location in a 1981 photo. Somebody who grew up in the Valley in the '80s can chime in on whatever I missed. There were some mysteries, like where exactly the arcade was. 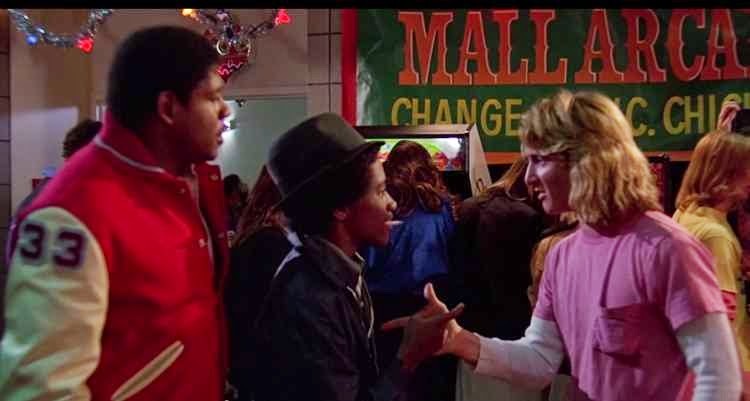 In the scene below from "Fast Times," there's a banner on the wall in the background during that scene that says, unconvincingly, "Mall Arcade," leading me to suspect that it was only there for the movie. 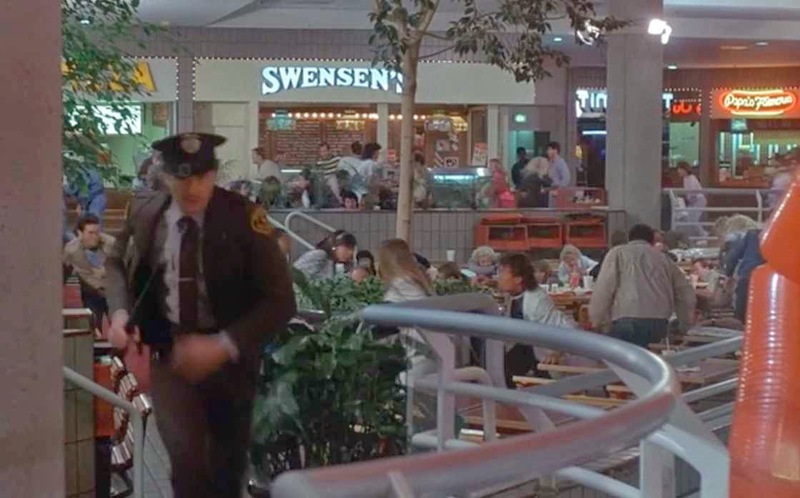 The same area can be seen in the shot below (from "Commando")--note the exit door just to the right of Swensen's--same door as the photo above. 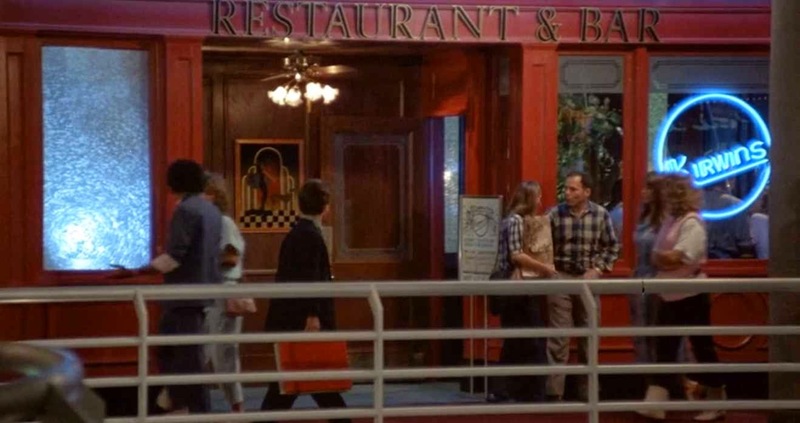 You can make out the Time Out arcade sign (where the "Mall Arcade" banner is in the photo above) and Papa's Famous right next to it, neither of which is seen in "Fast Times." So clearly there was an arcade in there somewhere, at least by 1985. 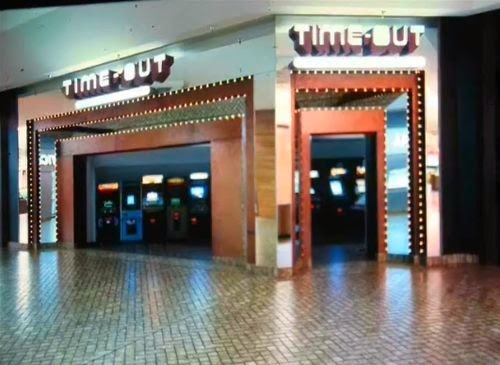 And then we have this final incongruity: a photo of Time Out supposedly from 1981, which appears to be a much larger storefront, has a different sign font, and is not seen in either movie. So...three arcades, three different signs. Okay, my work here is done. 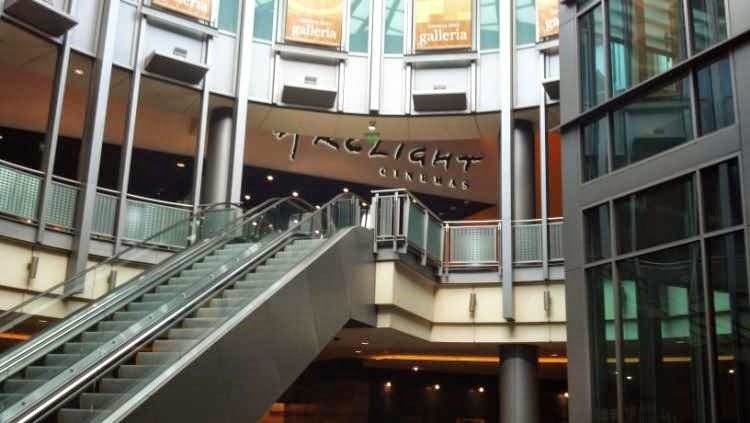 Farewell, Galleria. Our collective memory (not to mention cultural literacy) has been restored and preserved. What's that? No, no, I'm perfectly normal. Why do you ask? LA, part 3: Dude, who stole my mall? Obviously, I don't get out much. 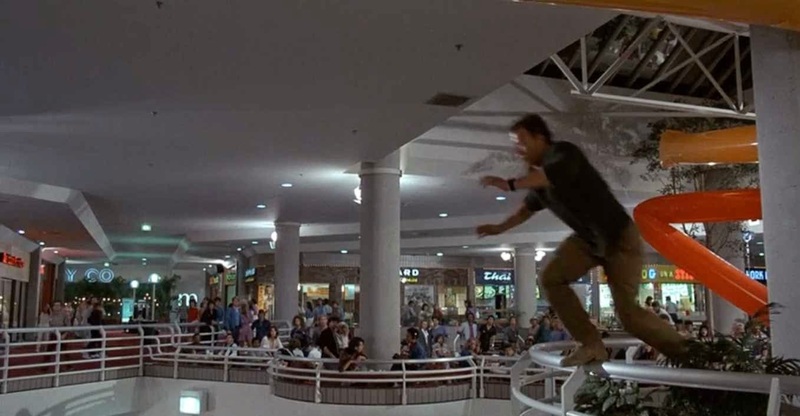 I decided to stop by the Sherman Oaks Galleria on my way to LAX this morning. 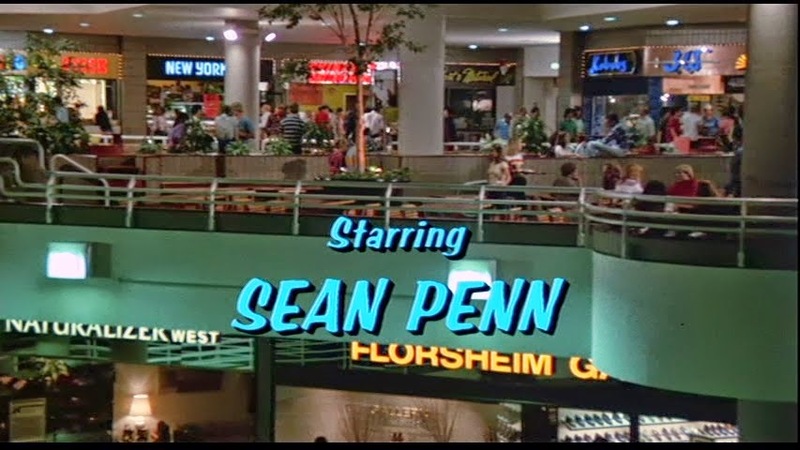 It's the mall where "Fast Times at Ridgemont High" was filmed. 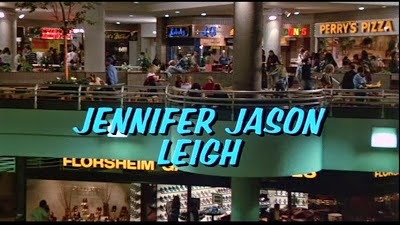 I thought I might buy a dress shirt, then stop by the food court and look for Phoebe Cates and Jennifer Jason Leigh. 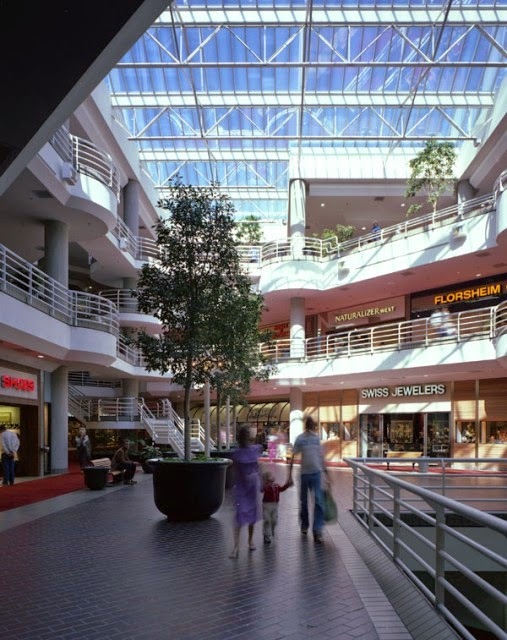 But as I discovered when I got there, the mall closed in 1999, was remodeled into mostly office space, and all that's left is the movieplex on the top floor. I was all, like, dude, that's totally bogus. So I'm now nostalgic for a place I never set foot in. It just seems like the universe owes me the courtesy of not changing except when I want it to. Do you know what I mean? The conference went fine. I didn't flub my lines on my panel. I saw some people I knew, so I didn't feel like a total stranger. But tonight I'm alone at a 2-star hotel next to the Glendale freeway. The exterior is white concrete. 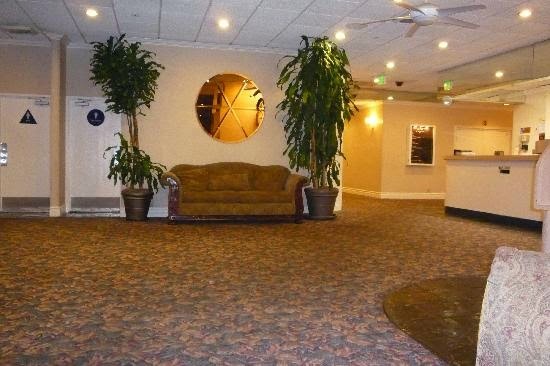 Lots of '70s-era mirrors in the lobby. The wallpaper in my room is peeling. The pillows are polyester-filled. Part of the building houses extended-stay apartments. 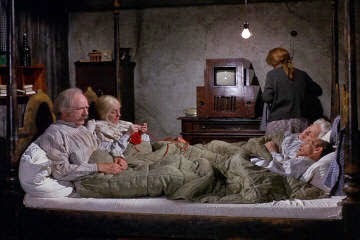 Thank God this is not an extended stay. I have an interview with Disney in the morning, so I wanted to be close. I didn't want to spend the money on a 4-star hotel. I feel like Willy Loman. I was hesitant about making this trip. I arranged a few months ago to speak on a panel at a digital media conference in LA, and I was looking forward to it at the time. Then I got laid off, and it was no longer a company-paid trip. But I decided I should go anyway...pay my own way, do the panel, meet and greet. 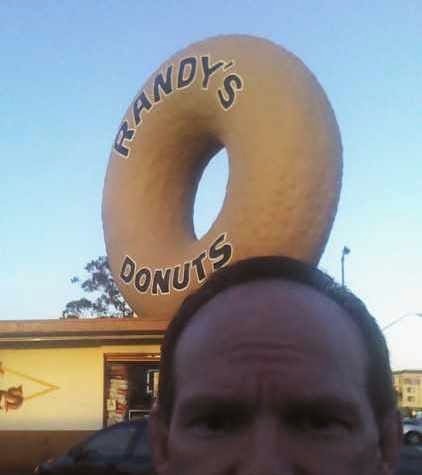 I got in at 5pm, picked up a dozen donuts, and drove with eleven of them to my sister's house in the Valley. We had dinner, I played with the kids and dogs, then went to sleep on a dog-hair-covered sofa. Much like being at home. 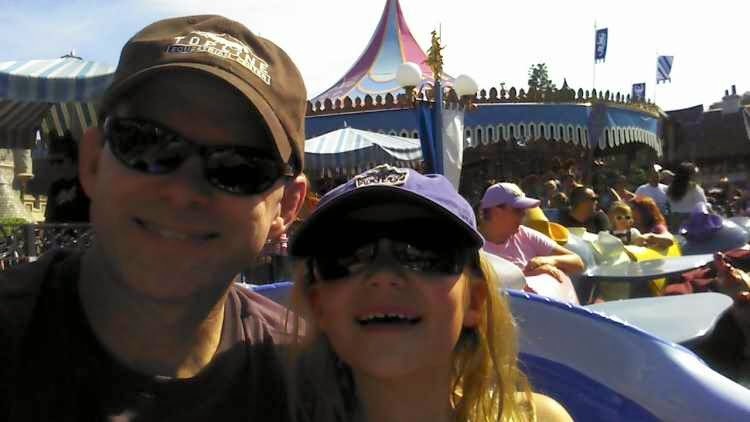 The next day we were up at the crack of dawn for an all-day excursion to Disneyland. Even at $92 it's still the happiest place on earth. 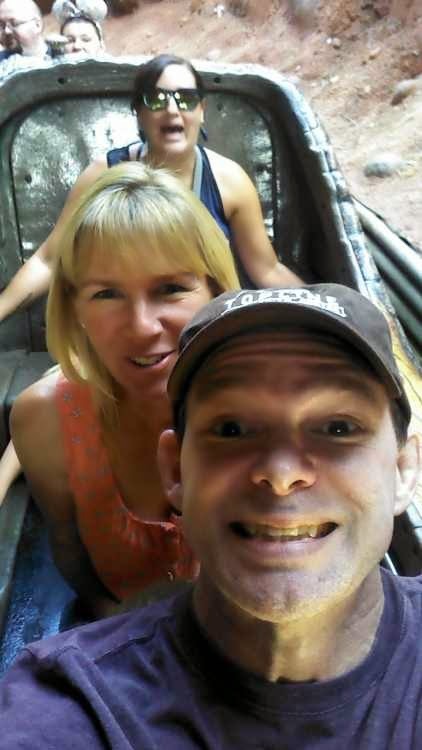 Splash Mountain completely terrorized my poor 8-year-old niece, Addie. 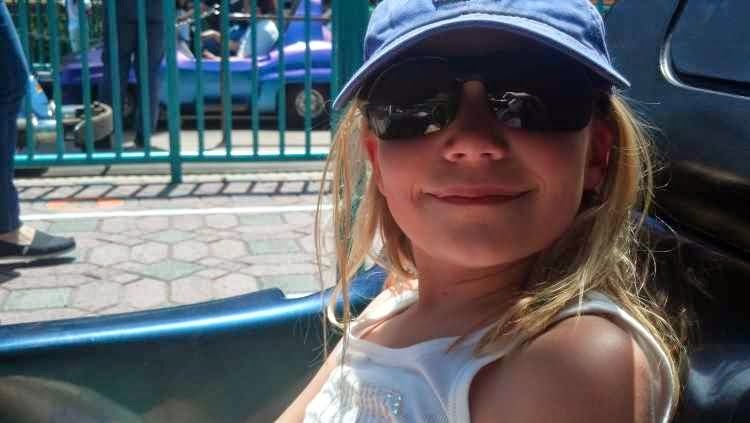 But she loved the Dumbo ride. 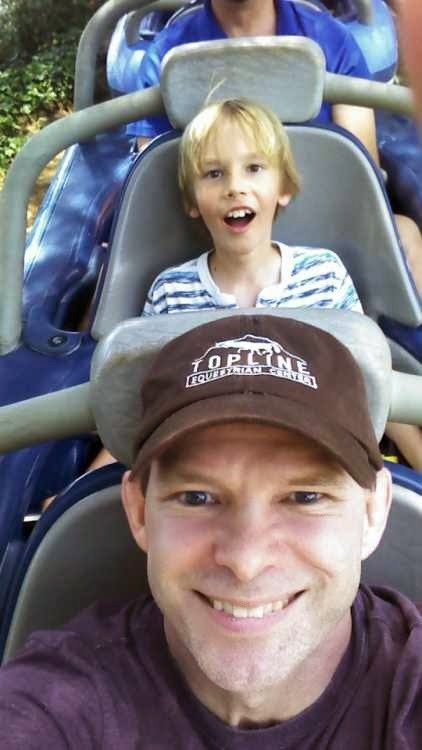 Ryan loved the Matterhorn. One more night on the dog-hair-covered sofa, then off to my conference.